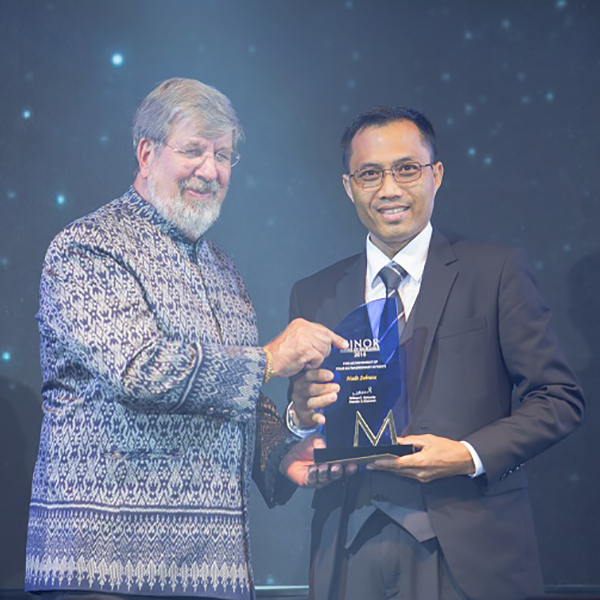 May 30, 2017 – Anantara Vacation Club, Asia’s leading luxury shared ownership concept for discerning travellers, is delighted to announce that Made Subrata, General Manager of Anantara Vacation Club Seminyak Bali, was recently recognised with an Award of Excellence by William E. Heinecke, Founder and Chairman of MINT at the company’s annual award night. Each year, Minor International, one of the largest hospitality and leisure companies in the Asia Pacific region with over 65,700 employees, recognises team members who have demonstrated outstanding performance by achieving or exceeding their business targets and have made a positive impact on the company as a whole. Mr. Subrata has been with Anantara Vacation Club for nearly two years and has more than two decades of hospitality experience with leading industry brands across Bali. Anantara Vacation Club Seminyak Bali is a luxury boutique villa development offering 18 one, two and three-bedroom villas complete with private pools and sun decks, en-suite bathrooms with outdoor rainfall showers, king-size beds and a separate living area with a fully-equipped kitchen. Designed for indoor-outdoor living, each spacious villa ranges in size from 150 – 260 square meters and offers modern open-air pavilions and the latest technology to accommodate modern lifestyles.